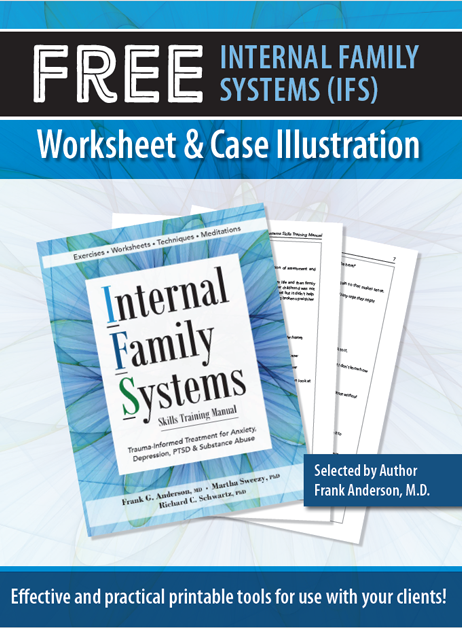 Internal Family Systems Therapy (IFS) provides a revolutionary treatment plan for PTSD, anxiety, depression, substance abuse, eating disorders and more. Using a non-pathologizing, accelerated approach — rooted in neuroscience — IFS applies inner resources and self-compassion for healing emotional wounding at its core. Use this FREE worksheet and case illustration today!